It stands to reason some people are going to be making a lot of money once recreational marijuana becomes legal in Canada . Who stands to benefit? 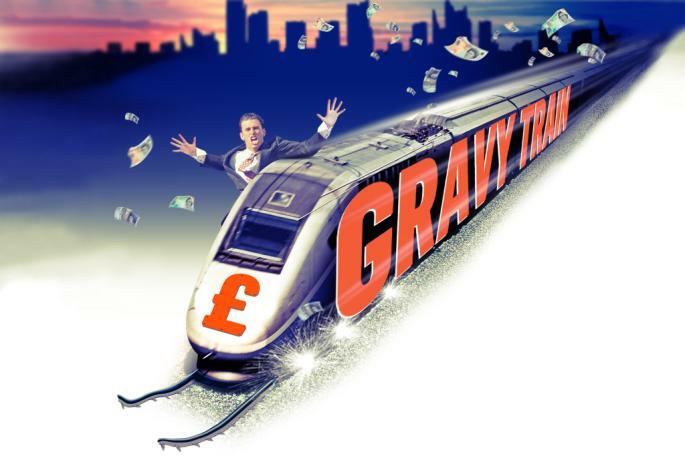 Who will be on board the gravy train? I think it is safe to say that the government, dispensaries, and the stock market are all on board. What kind of revenue are we looking at? According to Forbes, global marijuana spending is expected to hit $57 billion by 2027. Adult use of recreational marijuana will cover approximately 67% while medical will be around 33%. 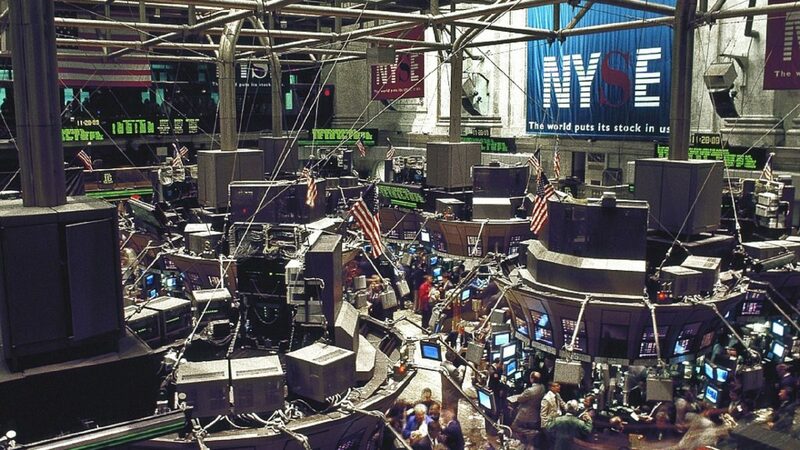 Investors in Canada are ready to pour billions of dollars into public equity investments. The Canadian government plans to tax marijuana sales at $1 a gram or 10% of the product price – whichever is greater. Sales will also be subject to the GST/HST sales tax. Estimations predict that the market here in Canada could be worth up to $18 billion a year. So we are looking at a whopping $3.6 billion in taxes for the federal government and the provinces – the split would be 25/75. Also, if the Federal government’s portion is more than $100 million a year, the excess will go to the provinces. At the moment, it is unclear how many dispensaries are operating across Canada due to the fact that many are operating illegally. However, there appears to be very little the authorities can do about the illegal ones. For example, one particular dispensary in Toronto, the California Cannabis, has been visited several times by Toronto police; signage has been removed as well as their display cabinets. Raking in almost $7,000 a day, they can afford to literally set up shop the very next day, with new equipment such as monitors and phone lines for wifi. Kendra Stanyon who is a criminal defense lawyer, claims that almost 90% of former dispensary employees walk! Let’s face it, even with legal fees and the police confiscating their equipment, it is still a lucrative business. According to Aaron Salz, a financial analyst, he estimates that close to $500 million sales per year are attributed to Canadian marijuana dispensaries. It is worth noting here that while some dispensaries are very lucrative – a legitimate one in Vancouver reportedly had sales of $3,000,000 last year – it is still difficult, if not nearly impossible, to have a bank account! Why? Because many Canadian banks do not see it as legal, even with the law going into effect this month. This poses a potentially high risk – having all that cash on hand to pay your bills as well as your employees – and makes your business very vulnerable and wide-open to criminals intent on robbery. In regard to CRA, you also lose out on legitimate business expenses. The stock market is already booming in Canada and with legalization set to go into effect on October 17, it could likely explode. During the first half of 2018, companies with marijuana stocks that trade publicly raised $3.29 billion. Privately held companies raised $1.04 billions. Cultivation and retail outfits brought in more than $2.5 billion. Tilray, has become the first marijuana IPO on a major exchange. There are several Canadian marijuana markets you might want to dabble in. Here are eleven. While many of these facilities are involved in medical marijuana, some plan to expand to meet the demands of recreational marijuana. Aurora Cannabis – Headquarted in Edmonton and trades on the Toronto Stock Exchange as ACB. In March, they acquired rival MedReleaf and together expect to produce over 570,000 kilograms per year through nine facilities in Canada and two in Denmark. Aphria Inc. – Headquartered in Ontario, they produce, supply, and sell medical marijuana and offer cannabis oil along with dried marijuana. Stocks went up after it announced they would sell their products through Shoppers Drug Mart. Revenue in 2017 was $20 million CAD. The Cronos Group – Headquartered out of Toronto, the group is a cultivator of medical marijuana and also ships its products internationally. The group owns 100% of Peace Naturals, a company licensed to produce and sell medical marijuana.Owning 95 acres of land, Peace Naturals is located in the county of Simcoe. 1st quarter sales was $2.9 million (473%) over last year’s $0.5 million. Sales jumped by 83% from 4th quarter to $1.3 million in the 1st quarter of 2018. Hexo Corp – Headquartered out of Gatineau, Quebec, and formerly known as The Hydropothecary Corporation, it currently operates with 310,000 square feet of production capacity with further construction on another 1,000,000 square feet expansion to be completed later this year. It has also teamed up with Molson Coors Canada and expects to have non-alcoholic cannabis-infused products ready in 2019. CannTrust Holdings Inc. – Headquartered in Vaughn, Ontario, it operates as a pharmaceutical company and develops and produces medical cannabis. It has a 430,000 square foot greenhouse, making it the 6th largest marijuana facility in Canada. OrganiGram Holdings – Founded in 2013, it is headquartered out of Moncton, Canada and is a TSX Venture Exchange listed company. It produces medical marijuana for individuals and physicians. It offers marijuana plants, seeds, cuttings, cannabis oil and dried flower and cannabis. Emerald Health Therapeutics – Headquartered in British Columbia, it produces dried cannabis and cannabis oil for medical purposes. Its planned expansion is timed to meet the demands of recreational marijuana when it comes into effect on October 17th. 225,000 square feet of a 1.1 million square foot greenhouse has been approved by Health Canada and is scheduled for completion before year-end. The Supreme Cannabis Company Inc. – Founded in 1979 and headquartered out of Toronto, it trades as FIRE (TSX.V:FIRE) on the Toronto Venture Exchange and established 7 ACRES as a licensed producer of high quality cannabis. Namaste Technologies Inc. – Headquartered in Toronto, it began as an international cannabis eCommerce company operating 32 sites in 20 countries. In 2017, CannMart Inc. was welcomed into their portfolio and operates as a subsidiary to distribute medical cannabis through their Toronto location. Expansion includes a Canadian warehouse in the CannMart facility to process vaporizers and medical cannabis shipments, packaging and distribution of other brands of medical cannabis products. The Green Organic Dutchman – Headquartered in Mississauga, it is listed on the Toronto Stock Exchange as TGOD. It owns 49.18% of Epican in Jamaica, has sales and operations in 15 countries, focusses on beverage development and is gaining market share with CBD products. The company has over 20,000 shareholders. Will the Black Market Continue to Thrive? Some of the thinking behind legalizing marijuana was to eliminate or at least tone down the black market. Will legalizing marijuana accomplish this? Greg Engel, CEO of OrganiGram, one of Canada’s biggest medical marijuana producers, feels that people will slowly transition from the black market and will pay the higher legal prices to get a variety of ‘quality tested’ products. However, let’s look at the figures – “that 90% of the $5.7 billion spent last year was for illegal, non-medical purposes.” This indicates the black market in Canada is huge! Availability will also be a concern. Will there be a location ‘near you’ to give you the products you need? Other factors include the supply (to meet the demands), as well as high taxes, as a deterrent. Disclaimer: Is CBD For Me is not an expert on the stock market and buying stocks, nor does it currently own any. Any content published here is not a recommendation to buying stocks or investments. Purchasing is at your own risk and should be done with due diligence. So there you have it – lots of folks ready to make some big bucks. What are your thoughts on the money that can and will be made with the legalization of recreational marijuana in Canada? Feel free to leave your comments below. Love your article…and it’s very timely since I just wrote an article on my website pertaining to CBD Oil for dogs. Specifically for treating cancer, seizures, anxiety, and chronic pain and inflammation. The whole industry is hard to figure out as things are constantly changing. But as you point out…governments are drooling looking at the potential revenue….too hard to pass up. Thank you Tim. I wish more people would get on board for their pets. They are spending thousands of dollars for the care of their beloved friends but won’t try the CBD. I have seen several videos where veterinarians are actually using CBD with great results as well as documents by other individual owners. I was one of those people who just the mere mention of CBD made me think ‘high’ – of course I now know better. I am surprised though at the number of people who still don’t know the difference. I have very little to no tolerance of THC and use CBD for my aches and pains. It definitely helps me to sleep at night. In my country, any possession of drugs like marijuana can lead to death penalty. It is surprising that Canada has allowed marijuana to be legalized. I think that it will help the economy for Canada a little because there is a trade movement within the country itself. Although the high dosage can be lethal, I believe there is a government body that regulates this. Hi Kit. What country are you from? Canada has been working on this a long time. Approved medical marijuana came into effect in 2001. Actually, there has been no recorded instances of anyone dying from a fatal dose of marijuana alone. For more on this, you can check out a video and my article on Hilary Black, A Champion of Cannabis, in September of this year. I think it’s kinda sad that goverments, corporations, and the Wolves of Wall Street (lol) do everything for “monetary” gain. There’s no denying the fact that folks will get big health benefits from marijuana, especially cancer sufferers. But it;s just the fact that people are just so “greedy” and have lost sight of the bigger picture (i.e HELPING REAL people) as oppsed to it just being a NUMBERS game. But also, there’s the problem of unethical folks behind illegal dispensaries wanting to cash in too. The blackmarket is very shady *pun intended*, but where there’s money to be made, some folks will exploit any loophole if they can get away with it. Unfortunately, it doesn’t matter what gets legalized or the new health medicines/products that get released, there are always going to be genuine/untheical opportunists jumping on the gravy train. Hi Neil. Yes, it is sad that people are losing sight of what Medical Marijuana is all about – that it is an alternative to opiods and other addictive drugs and is great for pain management. There will always be someone (and of course it doesn’t matter what the industry is), who will find a way to illegally make a buck or two. And of course there will be others (the oppourtunists) who will hide behind the ‘legalization’ and make lots of money. This is an interesting discussion topic. I am curious to hear peoples opinions on this subject so im so happy ive come across this piece. I agree there is a lot of money to be made off this industry, should it be allowed? I am yet to decide on that one. Hi Jayde. That’s the beauty of our country – you have the right to decide for yourself and have the right to say so :). There have been quite a few comments so you can see what other people are thinking. Thanks for stopping by. I was a recreational Marijuana user when I was younger. My experience was not so good to be honest. I just did not had any control. At first I started with smoking every weekend and I got to smoking every day. After that I quit because it was obviously not my thing. I support the legalization in Canada. It will greatly benefit the control of the Marijuana sources, there will be new work places and there will be more money to finance other important projects around the country. Netherlands set a great example of how this kind of laws should be implemented. Loved reading your article by the way. Thank you. I think Marijuana is like smoking as a preference. I remember when I was 18 (a little old to be experimenting with cigarettes) I bought a pack of cigarettes, smoked one and threw away the package and never tried again. Yet, I know people who started smoking at 14 and never quit. There will be a lot of money to be made – let’s hope the governments use it wisely! I’m not a user, but I know that there are people that have a medical benefit from marijuana, so for these people I think it is gonna make life easier. Absolutely! No, the black market is definitely not the only reason! I have a license and use CBD as I have little to no tolerance to THC. The CBD helps me to sleep at night as I have a lot of hip and knee pains. I am in the health care industry and am actually looking forward to the legalization so that we can get more access for medicinal purposes. Marijuana helps in severe cases of pain such as cancer when the synthetic ones aren’t working anymore. This process will encourage more patients to accept their usage when the time is needed. You are absolutely right Cathy. When I first got my medical license, I was surprised at the number of people who were seniors in the waiting area! They are tired of paying the high costs of traditional drugs and dealing with the side effects. Being in the health care profession, you would undoubtedly see this. With more education, I believe patients will be more accepting of this as an alternative. Hey there! This was a very interesting read. It is pretty awesome that they can have their business torn apart but still be able to set up shop like new again. I think that the government might as well just regulate it because it does help people deal with stress, pain, mental illness, etc. Now I’m no Marijuana expert but I think it’s not as bad as drugs right? I mean, even some of those are addictive but regulated. Hi Marlinda. I agree with you. If you can rebuild your business in a day or two, it doesn’t give you much incentive to spend the money it takes to set up legal operations. Marijuana has been documented to help a host of issues and in some cases has been used to help those addicted to other drugs! Legalization will help with the overcrowded jail situation and may even reduce individual taxes due to this new income stream for the government. The public will benefit not only medically, but also financially. I appreciate you putting together the list of companies for potential investment. I will research further and hopefully make some gains thanks to you. Thanks for stopping by! I agree that hopefully jails will be less crowded and this will be an economic benefit to people. With regards to investments, as I said I am not expert but a friend of mine gave me some stocks that might be of interest: BLO, CHOO, BXR and HMMJ. Good luck :). This is a very interesting read. There is no doubt the government is going to make a lot of money on taxes. I think it will also become very beneficial for people that have medical problems. I have friends that uses marijuana to relieve anxiety, pain and stress. It has helped him a lot. I believe legalizing Marijuana will very likely hurt the black market and also greatly benefit the people with medical problems. This was a great read. I’ve learned quite a bit from your post. Keep up with the good work. Hi Hong. Thanks for stopping by. Many, many people agree with you and I think it is now the norm for us to know or hear of someone who is on CBD or medical marijuana. I don’t know about the Black Market but I do believe time will tell. It will be interesting to see some statistics in a year’s time.